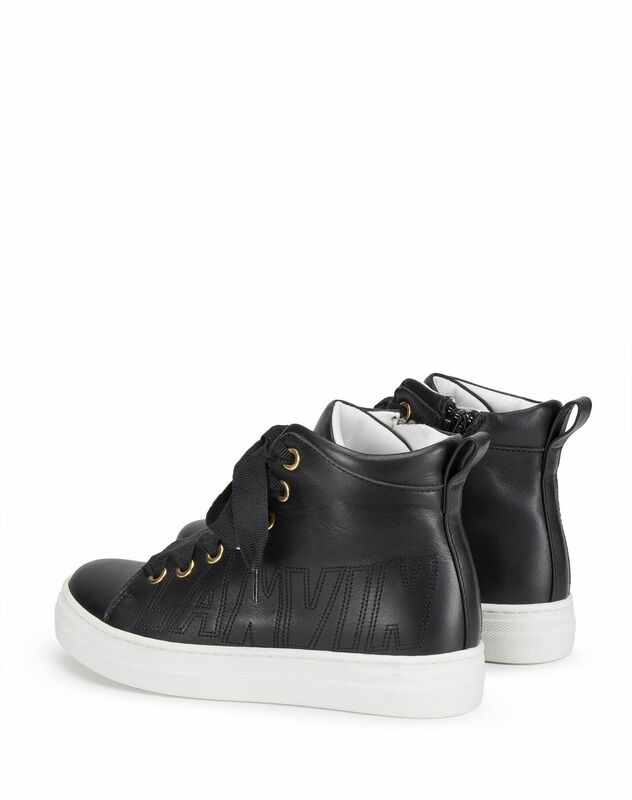 Mid-top sneakers in black lambskin leather, topstitched Lanvin logo on the outside, grosgrain cotton laces, side closure with rear ankle tab zipper, vermeil-finish metal eyelets, calfskin leather lining with Lanvin logo and contrasting topstitched white rubber sole. 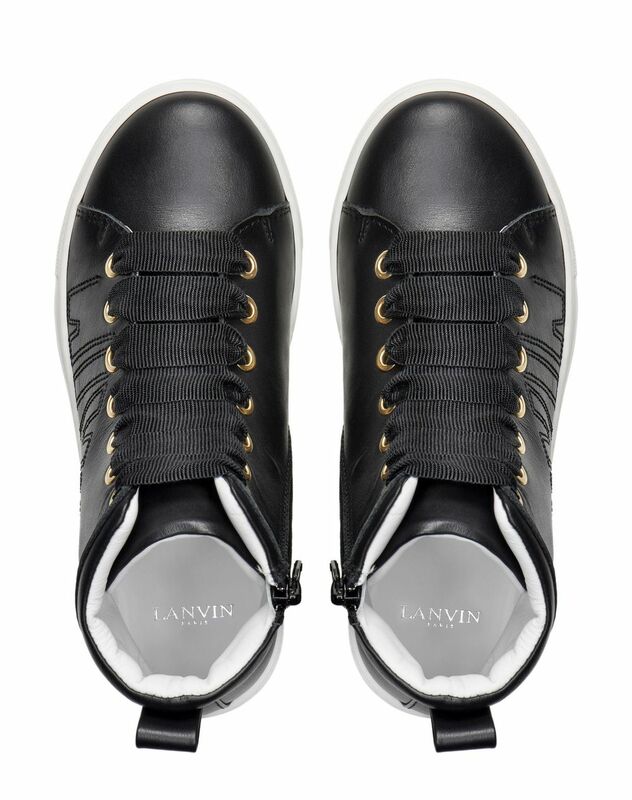 Inspired by Lanvin women’s sneakers, these black sneakers stand out as a timeless brand classic. 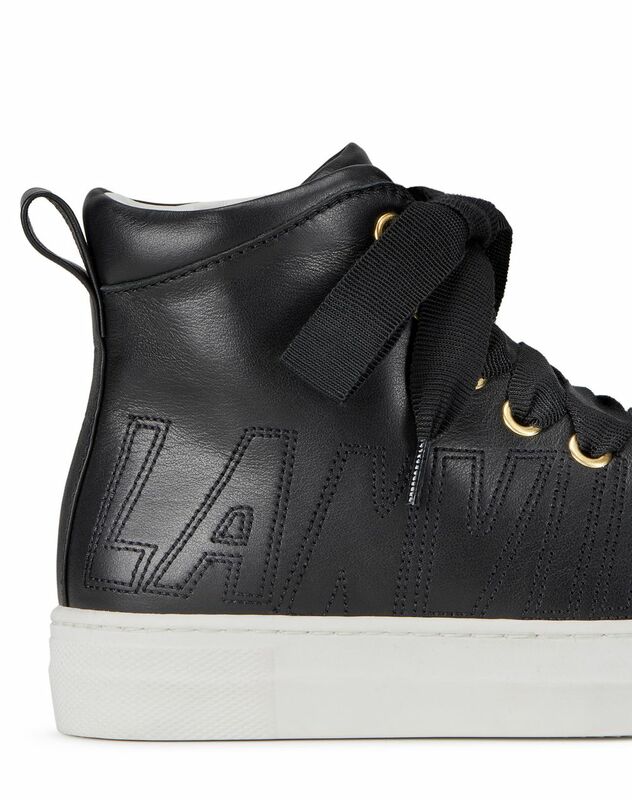 The topstitched Lanvin logo gives this model a graphic touch while the grosgrain cotton laces leave the brand’s mark. 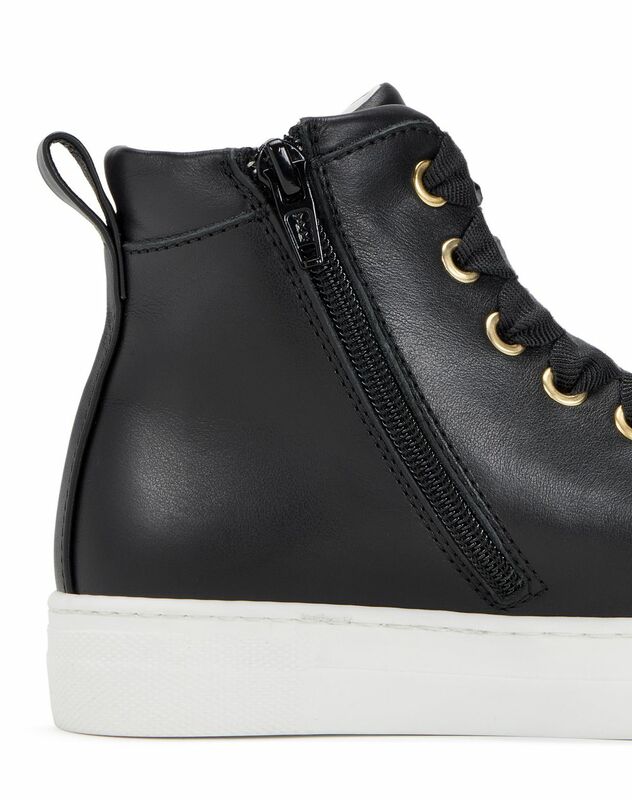 Combining comfort and craftsmanship, these sneakers offer contemporary yet casual flair. 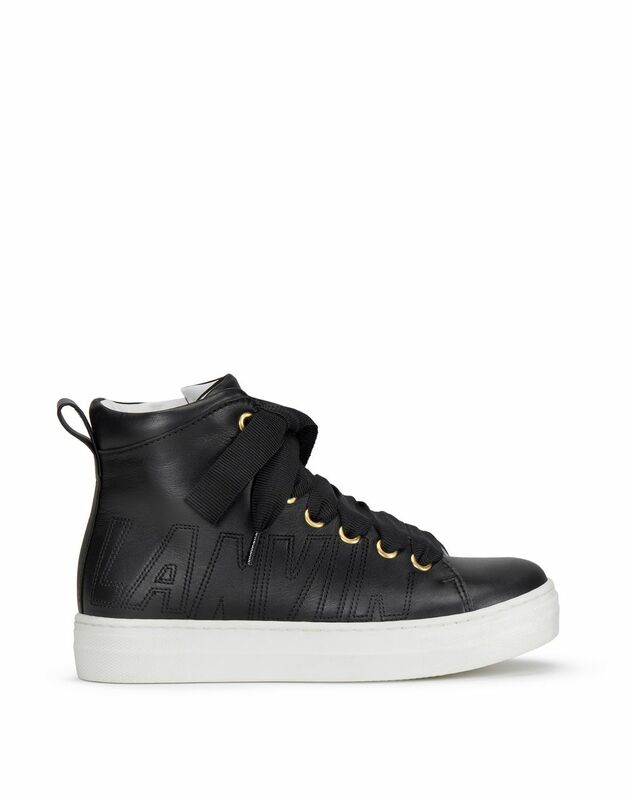 Main material: 100% calfskin leather Lining: 100% calfskin leather. Sole: 100% rubber. Made in Italy. Care conditions: Do not machine wash. Do not use bleach. Do not tumble dry. Iron at low temperature. Dry cleaning.